China’s involvement and investment in Africa has intensified in the past few years eliciting a lot of focus and research on China-Africa relations. While this can be written off by some as simply investment, in the context of changing global geopolitics like the formation of the BRICS (Brazil, Russia, India, China and South Africa) alliance, China’s growing involvement in the media industry in Africa has been seen by Trans-Atlantic nations to be a challenge to their influence in Africa. This has been perpetrated by Chinese media’s coverage of African affairs which contrasts with Western media coverage that tends to be more paternalistic, portraying Africa as the helpless continent. See for example the Kenyan criticism of CNN for referring to Kenya as a hotbed of terror right before President Obama’s visit and that of Fox News for labeling Africa as a war-torn region during a news cast on the Pope’s visit to Kenya. In contrast, Chinese media has been shown to consistently construct Africa through positive frames, something that has been criticised in the West as focusing on positive pro-African government stories while ignoring human rights violations. Ultimately the Chinese media’s goal is to promote diplomacy and exert soft power. Chinese affiliated organizations own a number of media outlets in South Africa; Xinhua News Agency, CCTV, China Radio International, China Daily and even conduct exchange programs for South African journalists. The major shakeup by a Chinese affiliated media company was the buying out of formerly Irish owned Independent News and Media by Chinese company Senkunjalo Consortium in 2013 with the Chinese national broadcaster China International Television Corporation having a 20% shareholding in the deal. Coupled with the fact that the deal was brokered by a businessman closely linked to the ANC, there was outcry in South African media world that the media house was being used to perpetrate Chinese ideals and promote the ANC’s propaganda. Herman Wasserman a South African academic has undertaken a study into whether or not Chinese media is being consumed by South Africans and South African journalists, their attitude towards the media, their perceptions of Africa- China relations and how the consumption of Chinese media has impacted the work of South African journalists. From his findings, it is clear that at the micro level, while some South African journalists consume Chinese media, it does not affect or influence how they do their work as journalists. However, at the macro level some journalists expressed fear for long term consequences in editorial policies that may stifle South African journalism that has a legacy of being critical towards the establishment. Many South African audiences expressed little knowledge of or exposure to Chinese media despite its heavy presence in the country but when questioned, most of them were sceptical about believing Chinese produced news. As Wasserman noted the scepticism was often not based on their interaction with Chinese media but on preformed biased against China. From the study, he concluded that a lot of scepticism still clouds the reception of Chinese media by South African audiences and even South African journalists. 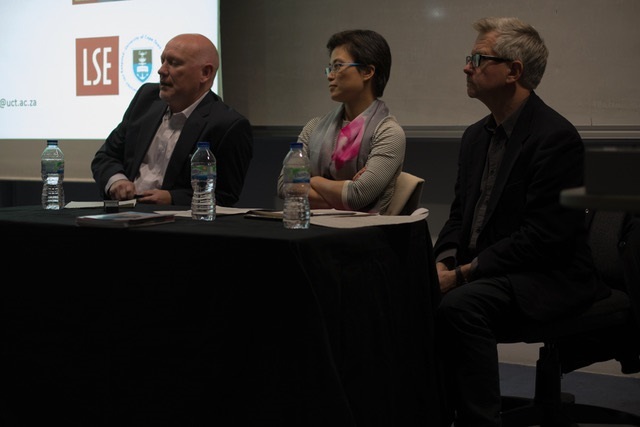 Furthermore, many South African journalists expressed confidence in the ability of the traditionally robust South African media to resist influence by Chinese media. Something that will remain to be seen in the next few years. Nice read. Truth in the face. The bias experienced in the western media reportage of the African continent leaves much to e desired.